Sales centers are the first opportunity to interact with a potential home buyer, yet some home developers overlook the necessary detail and focus into creating a space that is welcoming and resonates with the potential buyer. Today’s buyers are seeking an interactive experience in today’s sales centers. These spaces are the first impression of style, quality, and serve as a critical component of the sales process in new home developments. 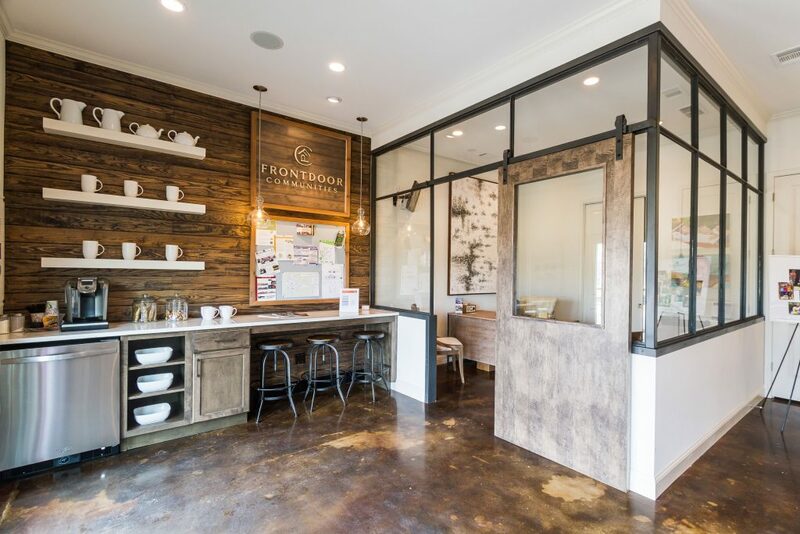 Although the exterior of a sales center typically follows the architecture and styling of the community, the interior can be expertly designed to resonate and connect with the target buyer’s needs, expectations and lifestyle for homes in the community. This means creating an environment that evokes creativity and reflects the quality of the homes or model already in the community, or yet to be built. These spaces should provide an opportunity for discovery and connectivity. This means offices to meet privately, waiting areas with refreshments, and spaces to display marketing collateral, elevation drawings and designer upgrades, and floor plans. Bringing all of these areas together will make people linger longer and provide more opportunities to connect to the community. Today’s sales centers tell the story of the community and buyers perceive this experience as part of the builder’s product. They need to mirror the quality of homes in the community. This means that they should make buyers immediately feel at home and comfortable, giving a glimpse into what to expect from the builder. Adding higher-end materials and developing a palette that reflects the homes in the community will better connect the sales center with the actual homes, and offering a peak into all of the possibilities when building new. When the sales center provides a high level of detail, buyers are put at ease knowing they can expect the same from their builder. Utilizing technology can also enhance the buyer journey and create additional opportunities for engagement. 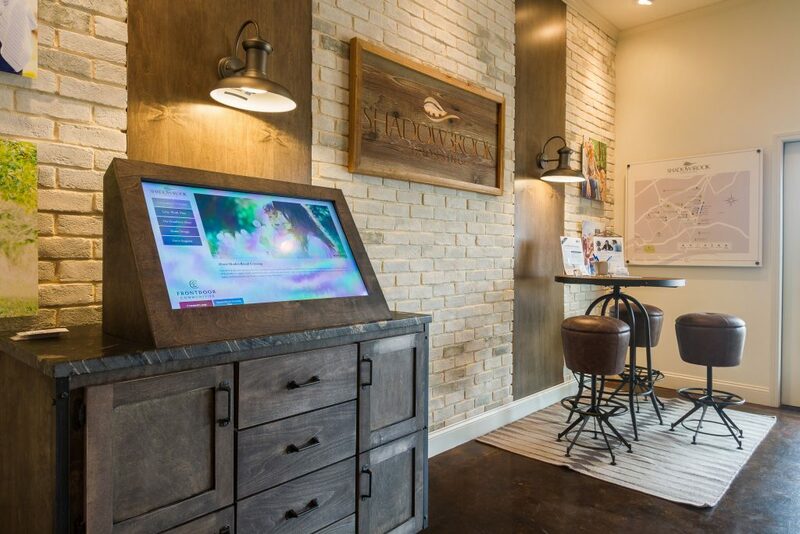 More and more sales centers are incorporating iPads, touchscreens and screens with custom content throughout the area. This technology provides the ability for the buyer to explore the community, floorplans and home options at their own pace, while also giving the home builder a valuable tool to capture customer information. The power of showing the community’s potential and what the buyer could call home will go a long way, especially if the community is in the beginning stages of development. There is no doubting the effectiveness of a well-designed sales center. These spaces are the key to connecting with target buyers and give them the opportunity to learn more about the community, look at floorplans and upgrades, and meet with sales agents all while being surrounded by comfortable design elements giving them a glimpse into their new home. This critical space is an excellent opportunity for home builders to make the most of their investment in the community, and begin establishing trust and quality with the potential buyers from the first impression. Ready to elevate your sales center space? 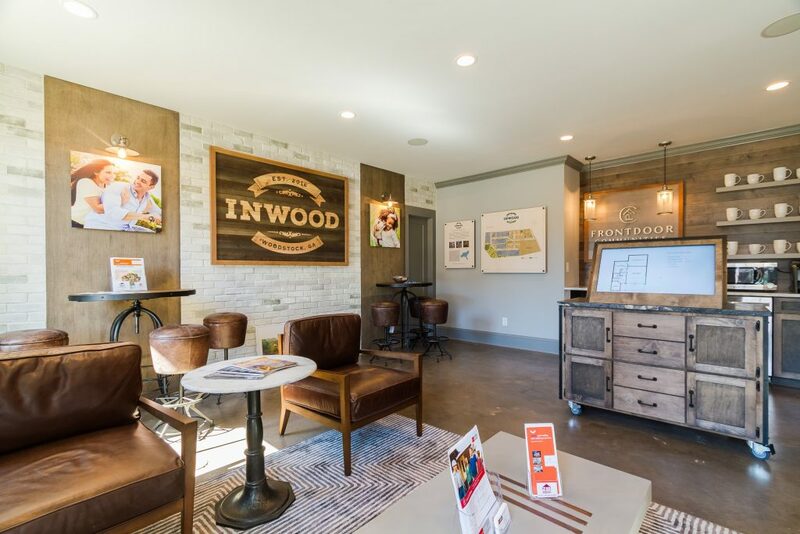 Haven Design Works has designed several sales centers around the Southeast, and was most recently awarded for their innovation and design by the Greater Atlanta Home Builder Association’s 2017 OBIE Awards.